This cool little app actually tracks down pictures taken from you location from Flickr. It could use a bit more tweaking but it a great idea and I can’t wait for future updates. The app has been completely rewritten for the new OS update (Windows Mango). It is no longer a slideshow-based app. Now the user has full control of the navigation between photos. You just use your finger to swipe left and right to navigate through the photos. You can also double-tap on the photo, which will show more information about it, including a map that will show you exactly where the picture was taken. It’s really a totally new app with this update! Imagine that you could just start an app from your phone, and photos taken exactly the same place as you’re located would show up on your screen. That’s exactly what GeoFlick does! 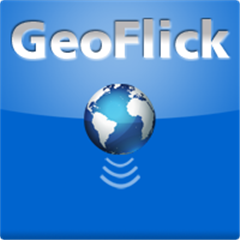 It automatically connects to Flickr and retrieves photos that are geo-tagged with the same location as your phones GPS! You can also expand the radius of the search, up to 32 kilometers (20 miles). It shows all the photos directly on your phone, and you can just swipe your finger left or right to browse. So dowload this totally free app, and start viewing photos taken where you are! Written by: Hyde13 on November 26, 2011.